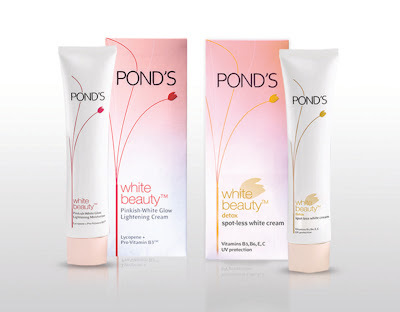 I hear the summer heat in Manila is getting unbearable, but there's no reason not to enjoy the great outdoors if you've got the Pond’s White Beauty line on your arsenal! The Pond’s White beauty Facial Foam deeply cleans and nourishes skin with Pro-Vitamin B3 to help remove dark surface cells and reveal your natural pinkish white skin. White Beauty Detox Spot-less White Cream and Lotion that have natural vitamins B3, B6, and E, which help reduce pimple marks and dark spots for a spot-less whiter skin. It also has triple sunscreen protection that gives skin up to 50 percent whitening and illuminating effects not only for the face but the entire body. And for finishing touches, the White Beauty Pinkish-White Glow Lightening Compact Powder gives skin a visibly brighter appearance, smoother texture, and protection from the sun’s UVA and UVB rays. With all these creams and potions from Pond's White Beauty working it on your face, just plop on a hat, put on your most fabulous sunnies and welcome summer with an equally warm "Hello!" Goodness knows, I am jealous! I can't wait for it to get warm warm warm! Berry and I need a dip in the pool! Which reminds me, time to go look for swimwear for Berry (and me)! Are all ponds beauty cream safe for pregnant women? Hi! I am not too sure about that. I used SK-II when I was pregnant.